I know you all are probably sick of me gushing about my love for Ruth Ware but damn, I love her! I listened to this one on audible and the narrator, Imogen Church, slaaaaaaays once again. Two days before a career changing business trip aboard the luxury cruise liner, Auroras, maiden voyage, Lo Blacklocks London flat is broken into and burgled. Lo, writer for the travel magazine, Velocity, is shaken but not harmed and despite her sleep deprived state (who can sleep comfortably after a break in?) she packs her bags and boards the vessel in what is promised to be 5 days of top of the line luxury cruising. After perhaps one too many drinks, while sleeping fitfully in her cabin on the first night, Lo hears a scream from the cabin next door, and the distinguishable sound of a body hitting the water outside. Rushing to her balcony she can make out the body of a woman sinking beneath the waves. Immediately calling staff security, they are confused with her desperate attempts to explain what she heard/saw. No one had been assigned to cabin 10, the investor who was slated for that room cancelled last minute and it remains unoccupied. But that doesn’t explain who the woman was Lo saw in the room before dinner, the one who lent her some mascara. And she is certain she heard that scream and splash. As Lo starts digging, someone tries to thwart her every move. Stuck out at sea, Lo is trapped on board with a killer, but who? 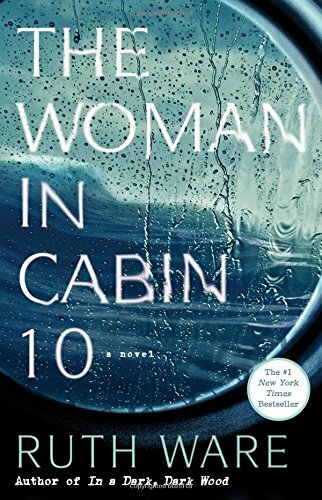 And who was the woman in cabin 10? Overall this read was thrilling and suspenseful, the perfect mix of intrigue and conspiracy. 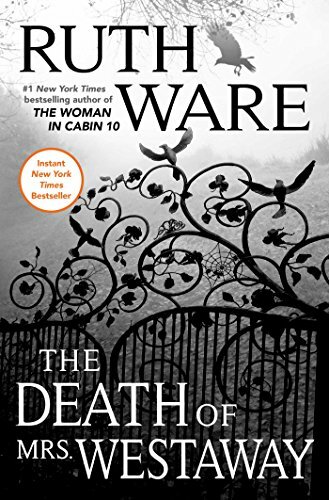 I have officially now read all of Wares books and CAN’T WAIT for her 2019 publication The Turn of the Key. Y’all this book rocked my world. 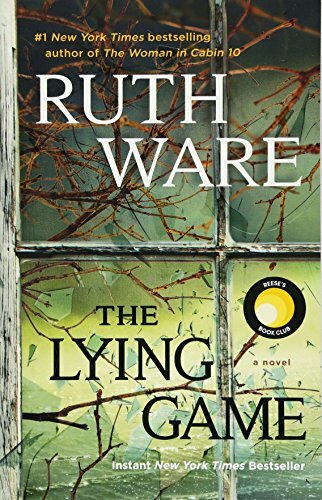 We all know I am a huge fan of a thriller, and Ruth Ware has climbed my list of must read thriller authors. Her stories are always insanely addicting and full of surprises and The Death of Mrs. Westaway was no different. Hal (Harriette) Westaway has had a rough go of things since her mothers untimely death 2 years prior. Barely making ends meet, the 21 year old can hardly keep food on the table working her job as a tarot card reader at the local pier, let alone pay off the loan shark she has become indebted to. It seems almost too good to be true when she receives a summons to meet with a lawyer to discuss an inheritance left from her recently deceased grandmother. Only, Hal doesn’t have any family. Her mothers birth certificate lists completely different parents to the one who’s will she is in. Her mothers past wasn’t something talked about, her father a one night stand, it’s always just been Hal and her mother. Even though she quickly realizes a mistake has been made, Hal is desperate for money. With some trepidation, Hal decides to travel to Trepassen House and accept “her” claim. It isn’t long after arriving to the funeral, Hal realizes something is very off about this family, and her place in it’s inheritance. So I listened to this one on audiobook and, YAY, it was read by Imogen Church who I am absolutely obsessed with. (She read Wares, The Lying Game also, check out that review here!) This story had all the elements needed for a really riveting read; interesting characters with compelling backstories, deceit, lies, murder, and the ever satisfying (if heart stopping) discovery of truths. The dreary setting of Trepassen house with it’s cold, dark facade really lend itself to the overall mysterious and spooky tone of the book. Another read by Ware that I was absolutely unable to put down (stop listening too?)! Do yourself a favor and get your hands on this one ASAP! When a text comes through to Isa Wilde in the middle of the night, three simple words, her entire life is turned upside-down. A human body was discovered on the marsh and with it, long ago buried truths are coming to light. With these words, Isa is whisked, both literally and figuratively, back to the idyllic town of her youth where she spent one fateful semester at a boarding school. Something terrible happened, leaving Isa and her three friends to pick up the pieces. This twisty turny thriller leaves you wondering who is lying, who is telling the truth, and unsure of who can be trusted. What a wild ride! First of all, I want to highlight the fact that I listened to his one on audiobook and the reader, Imogene Church was, in a word, phenomenal. She brought so much life and feeling into Wares words it just added that extra layer of personality and suspense to the story. And speaking of words, Ware is a master with them. Rich with imagery, her words paint such a robust and full scene from beginning to end. Every detail, feeling, nuance is captured so perfectly and vividly. In true thriller fashion, Ware has a way of parceling out her information to the readers just enough to fill our heads will all sorts of theories, only to have them dashed and second guessed with the next chapter. Solid read, one I highly recommend to all my fans of a good thriller. Ware has secured her place on my auto buy list and will gladly gobble up anything she puts out!